Quote Reply Topic: Jesus Christo is Real! New Sailor Moon Anime!! New Sailor Moon Anime Coming in 2013! 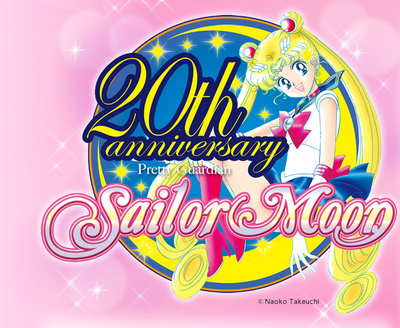 The idol group Momoiro Clover Z , publisher Kodansha , and creator Naoko Takeuchi announced on Friday that a new anime adaptation of Takeuchi's Sailor Moon manga is being produced. The new anime series is aimed for release next summer, and Momoiro Clover Z will perform a theme song. Momoiro Clover Z made the announcement during a live event celebrating the 20th anniversary of the manga. Momoiro Clover Z sang the first Sailor Moon anime's theme song "Moonlight Densetsu" at the event via a live video feed from France, where they are guests of Japan Expo. Update: More background information added. Although Kotono Mitsuishi and Tohru Furuya , the voices of Sailor Moon /Usagi Tsukino and Tuxedo Mask/Mamoru Chiba in the first Sailor Moon anime, were present at the live event, the event did not specify that they will reprise their roles in the new series. The event also did not specify which song Momoiro Clover Z will perform as a theme song of the new anime. Update 4: During the event, Mitsuishi mused aloud if she will appear in the new anime. In a blog post after the event, she said that she is eager to play a role in it. Thanks, Ford Prefect. Update 5: Mitsuishi added in her blog that the "enemy" is not the Dark Kingdom, but she was speaking metaphorically, not literally. She said that the figurative enemy is her own self from the first Sailor Moon anime; she is comparing her audacious performance then to her acting now. It's going to stick closer to the manga(the manga and anime were 2 different creatures) too? Not so kiddy plotlines? i used to watch this, glad its coming back. will it be available in america at that time? ^I'm sure it'll should be available online somewhere with subtitles. ...I'm kinda hoping they'll do a Sailor V show too but this will do nicely! YEP!! I've been so excited! !